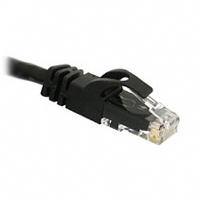 For a superior network performance, opt for the C2G CAT6 Snagless Solid Shielded (STP) Network Cable. 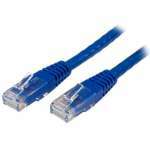 Its screened shielded twisted pair (SSTP) technology ensures to let no EMI interference go in or come out of the cable. It also prevents the cross talks among each pair in the cable. Made from 23 AWG cables and shielded all around, it is ideal for transmission of high end audio-video signals apart from high speed data transmission. 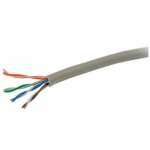 The end of this cable is terminated with RJ-45 male connectors with Snagless boot, making it ready for use with RJ -45 ports and prevent the release tab of the cables from snagging on adjacent cables. Its 250 ft length is useful for connecting devices at longer distance with no loss and distortion in the signal. 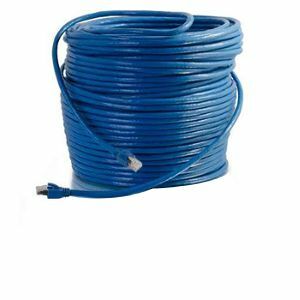 This cable is constructed from high quality material to give superior performance in noisy environments and easily handle bandwidth-intensive applications. 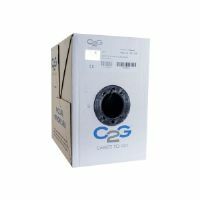 Order the C2G CAT6 Snagless Solid Shielded (STP) Network Cable today!